Sometimes Nurse Angry peels a sweet potato and realizes she just has to share it with the world. 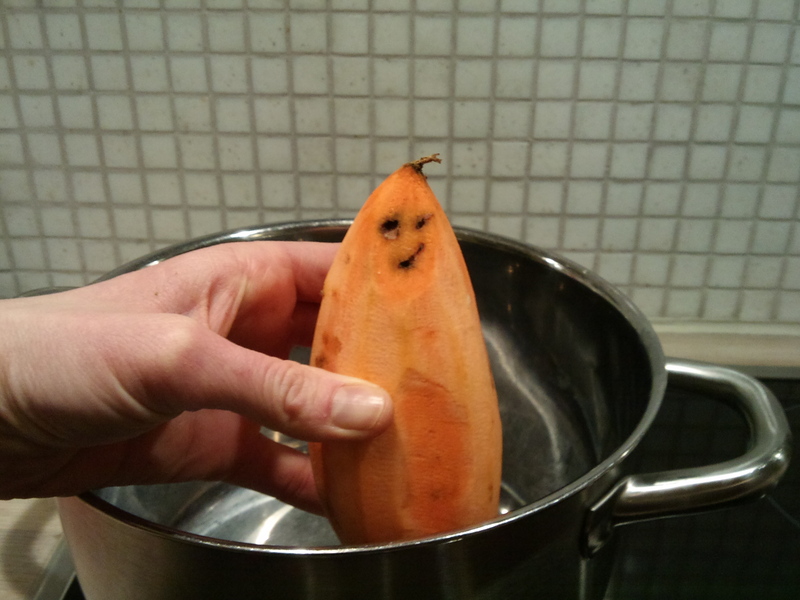 Not many people know this, but Sweden is such a calm and happy country that even the sweet potatoes smile as you lower them into a pot of hot water. This sweet potato, whose name happens to be Nils-Bernard, has been attending Mindfulness classes for some time now at the expense of the state, and is able to concentrate on just feeling warm all over. So aside from the 500-year parental leave, the excellent cuisine (if you like meatballs), the socialized health care, the high standard of choral singing and the fact that even the bums and drunks here have cell phones, a visitor can also look forward to making contact with some of the world’s most harmonious vegetables. Nurse Angry welcomes you to Sweden.